Instantly morph from an egg form to a quadcopter with just a press of button. Pocket sized egg form without exposed blades prevents damage during transportation, making it easy to carry around. 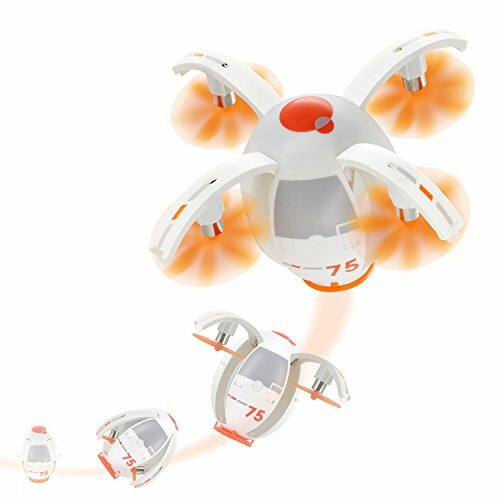 Fun 360 degree rolling stunt can be performed with one button to make your flight even more impressive. Comes with headless flying mode and speed selection to make it easier to find a flying setting to suit skill level.